A dear friend of mine’s baby girl was christened on the weekend so I can finally show you the pictures of the gift I made specially for her a little while ago. 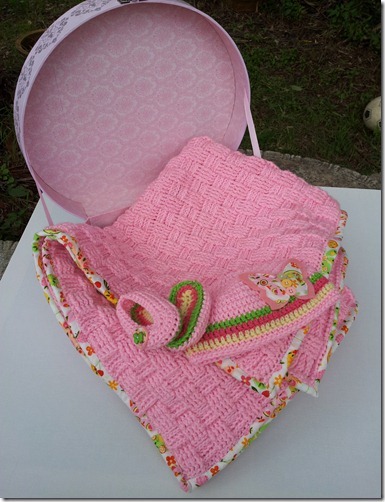 Its a basket weave crochet blanket with fabric binding which I sewed on by hand. 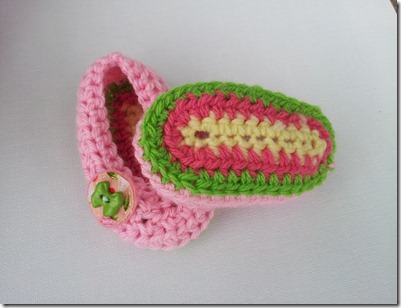 Last week I decided that I wanted to include a beanie and ballet slipper set as well. 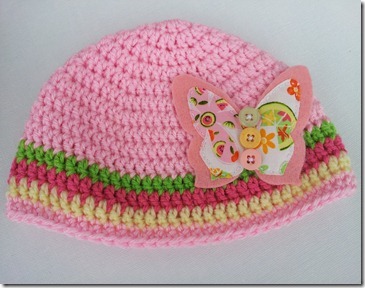 I remembered that she loved butterflies so decided to put an appliqué on the beanie. Can’t wait to see a picture of her wearing them. What do you think?